First up is some older news but entertaining none-the-less. I mentioned before the zombie comedy Zombieland due out this fall. 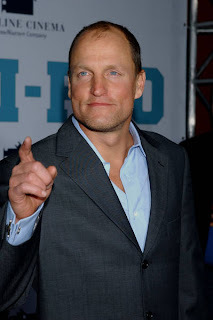 Well, looks like one of the stars, Woody Harrelson, assaulted a real zombie at the airport. Oh, wait, it's a photographer. Honest mistake. Woody's publicist released a statement from Woody stating, "I wrapped a movie called 'Zombieland,' in which I was constantly under assault by zombies, then flew to New York, still very much in character. With my daughter at the airport I was startled by a paparazzo, who I quite understandably mistook for a zombie." I was notified of a zombie walk this Saturday the 18th. It will take place at the Los Angeles Convention Center. Participants are asked to be there by 9:30. 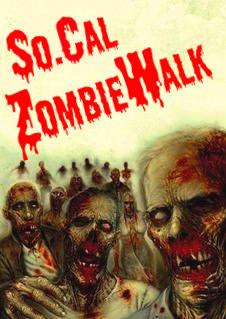 For more information, please visit the SoCal Zombie Walk web page here. Sounds like a good time for a good cause. So head out, have fun, and be safe! While not totally zombie related, I found news that purchasers of the deluxe edition of Resident Evil 5 in Asia will get a cool little treat. 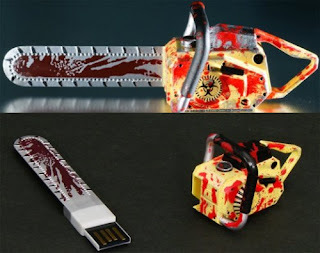 It's a RE5 chainsaw flash drive. Is there anything left that hasn't been made into a flash drive? I'm a sucker for those things!